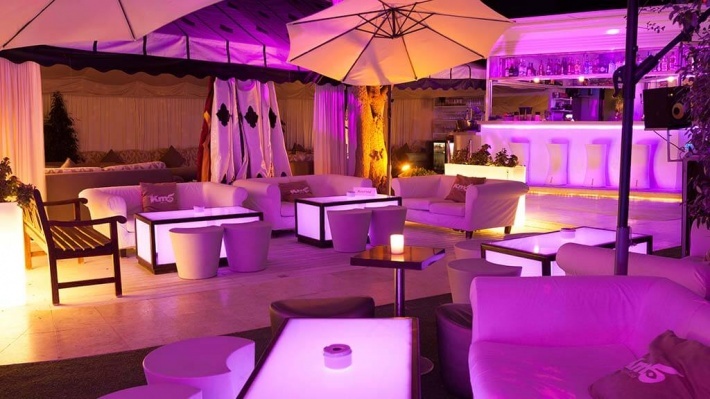 El KM5 Ibiza is the most attractive open air restaurant, bar and garden on the island. 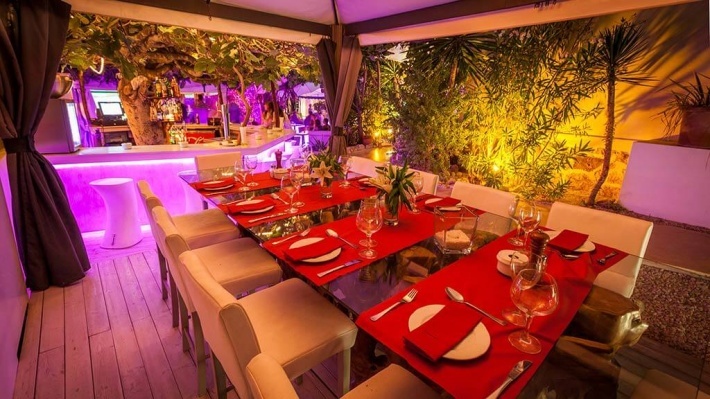 Its glamorous, cosmopolitan, easygoing atmosphere harmoniously blends avant-garde and oriental influences —both in terms of the music and the décor—as well as its exquisite gastronomy. 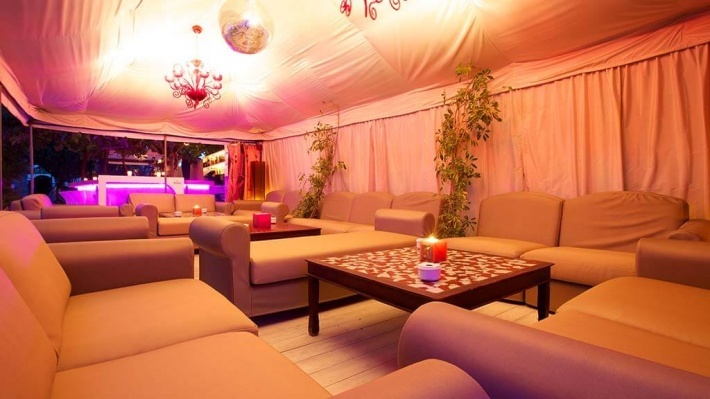 It’s a place for everyone, that’s open every night from April to October between 8pm and 4am and where well-known figures from the worlds of sport, fashion and television meet up. The star attraction on the menu at Km5 is its grilled meats. 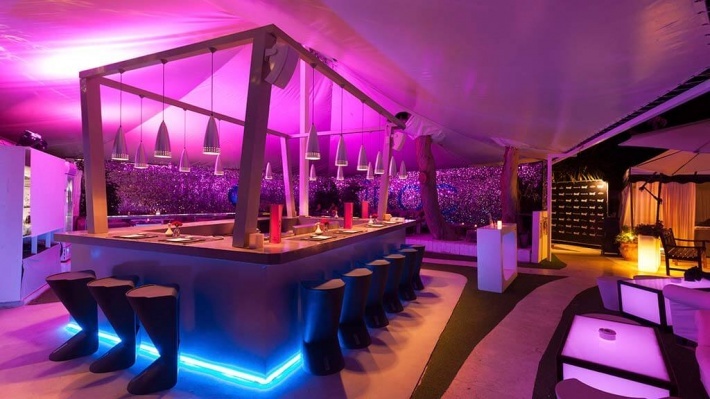 Nonetheless, Km5 has also set the trend by preparing other dishes on the grill such as duck confit, squid or fish, in addition to other culinary suggestions going from homemade stuffed pasta to the exquisite Peruvian ceviche or the tuna tartar of Nikkei cuisine, which is a fusion of Japanese and Peruvian cooking. 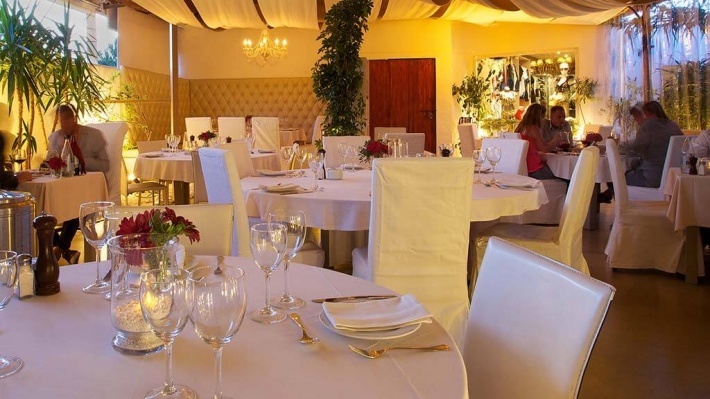 The chef is Emiliano Savastano who has 12 years of experience in charge of the kitchen at KM5. He makes creative dishes that are developed to match diners’ evolving tastes. 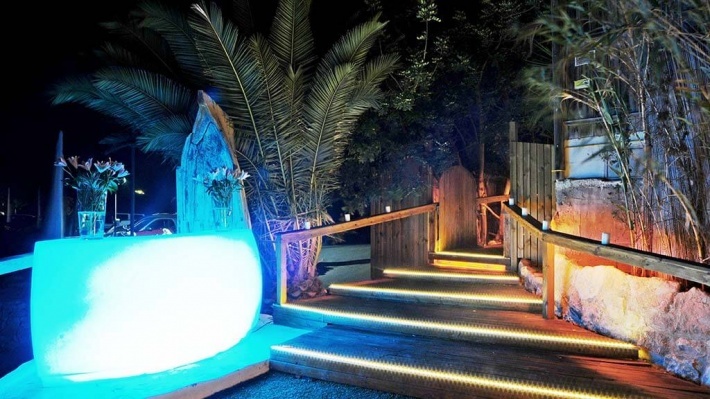 Over recent years, Km5 has also become a reference point among restaurants in Ibiza for lovers of Japanese cuisine. 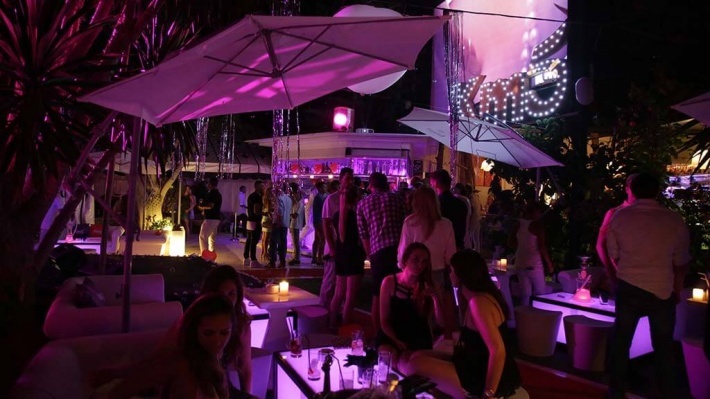 At Km5 every night is different, with its own style and particular sound. Music, in all its great variety, is vital to KM5. You can enjoy it beneath the stars during one of the classic full moon parties or on a traditional flamenco night, among others. Inside, in the Music Lounge, it’s a different feeling altogether. 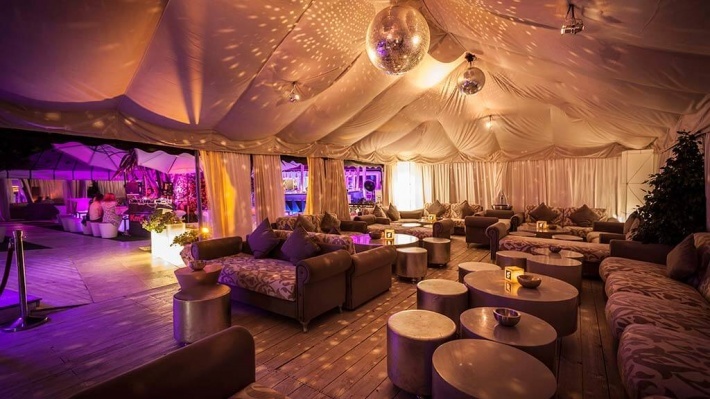 The DJs’ embracing sound beckons you to let your hair down on the dance floor—made on a human scale—like the traditional Ibicencan villa where KM5 was born.